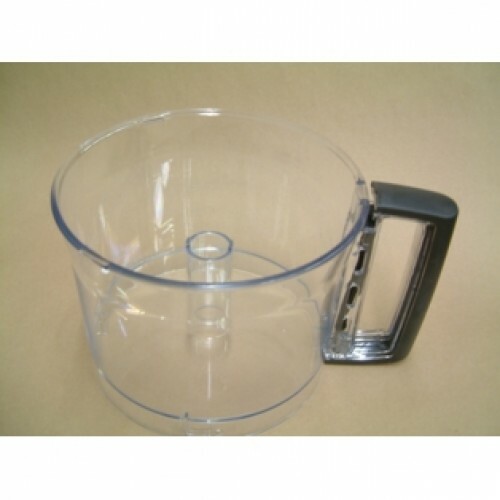 Magimix 17416 dark handled bowl for Magimix 3200 and also used for Magimix 3150 main mixing bowl. In kosher cookery some customers use 2 bowls the brown handled bowl for meat uses, for white handled for milk for white click here. Please click here for tips on using main bowls . The lexan bowls are easy to clean with warm water and washing up liquid, however they are also "dishwasher safe" they are safe to wash at 40c on the top rack, but you should try to avoid the drying programme, also you are advised to use powders and liquids "suitable for plastics" rather than tablets as this will cause deterioration, marked, crazed, brittle or opaqueness, resulting in shorter life. If the bowl smells of onions rinse under a cold tap after washing.